Some addicts ( and I have seen too many !) insist on gobbling it whole only if splashed with multi -coloured sambals and 'semua taruhs' making the molehill-turned mountain meal look like a monstrous cross between an xpired chicken/beef slaughterhouse and Kayu's infamous multicoloured curry broth gone astray. NL Tanjung Puteri, Sri Hartamas, da kinda place you would want to impress your bf/gf ! Just an elevated stones throw away from junction of Desa Hartamas, Mont Kiara and Sri Hartamas. Night only. Xcellent oldies ambience but marred by 21st Century automobile fumes . A bit too near traffic lights...homely decor and demure Cashier ( I can swear she's nice ok ). 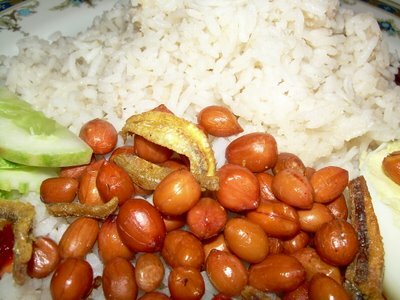 Incomparable ikan bilis and peanuts ! Strange fragrance of fragrant rice but otherwise good overall. NL Chik Gu, Kelana Jaya, PJ. One time de NL, much sought after with a string of franchised stalls all over. Seems however to be fading... Fried Chickens tops. Chunky onionised sambal with standout flavour. NL Tanglin (Foodcourt), near Bkt Aman HQ, KL. Morning till habis. Enter Lake Gardens from Jln Parliament. First turning left Jln Tanglin to reach Jln Cendarasari. Big tree ambience. Efficient all round performer. Large crowd. Quickie service. What can I say ? de NL Antarabangsa, Kg Baru KL. Night service only. Looks tempting, right ? Best bouncy but firm sotong for miles around. 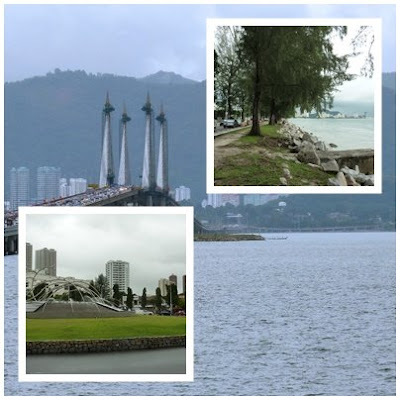 Almost perfect what with International Gourmets presence and rich cultural heritage in Malay Heartland. Not to be missed for die hard NL fans ! But sambal feels strange ( like some Thai sauce...) and then got certain a i r bout the place. NL RA, Jln Raja Abdullah, KL. Road cuts across Jln Sultan Ismail ( the one going to Concorde Hotel ) into two. Left to Kg Baru, right to NL RA. Morning till finito. Laid back ambience. Best daging rendang . X C llent in all aspects. WYSIWYG. BSG's pick. So what r u waiting for ? There's one over at KDU which i recommend giving a try. The sotong (especially the Janggut) is to die for. You everyday also eat 'leng yeah' you sure must be a fat boy!! kakaka. 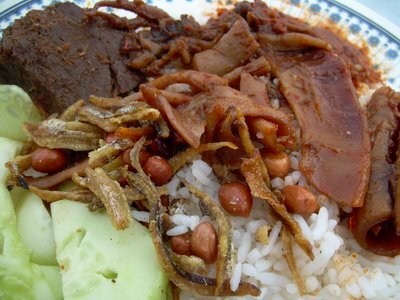 Wah I luv the sambal sotong la!! Waaaaaaa... I wanna go home liao.......... *sob* *sob*..
thks 4 dropping by. 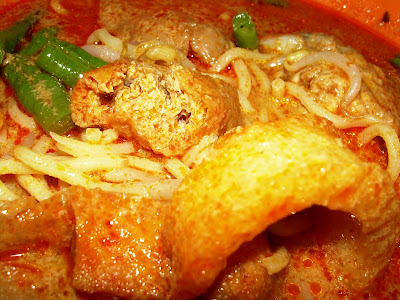 Will definitely hunt the janggut out since u r still dying for it even in BKK ! after yr BKT party in Klang u should organise another one to look 4 janggut sotongs ! ok another sotong on the way 2 you. AX acceted ! 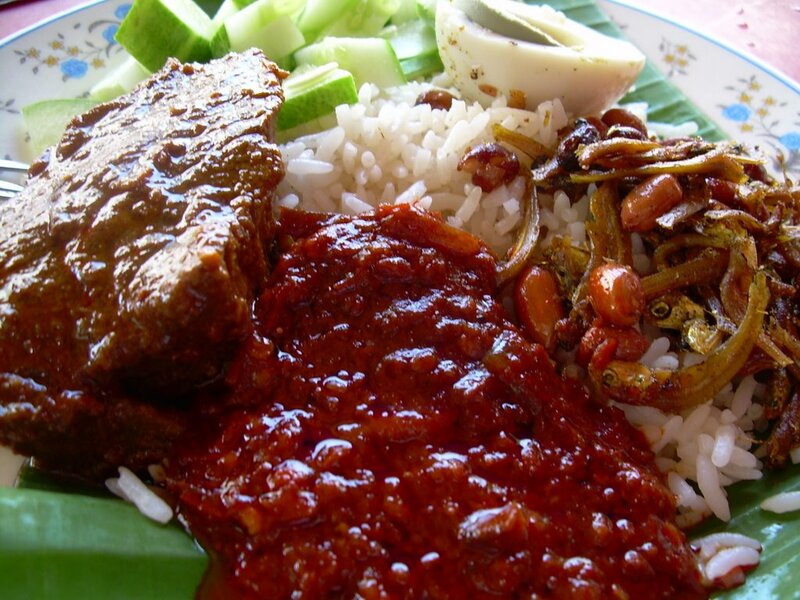 i love nasi lemak but always prefer the conventional type - wrapped in banana leaves with ikan, ikan bilis, telur, udang (all or either one) - not the ones with other dishes like chicken. 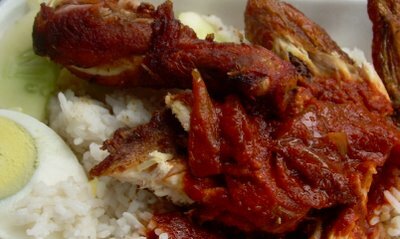 i don't fancy eating nasi lemak with chicken! wow, out of that list, i've only eaten at tanglin and antarabangsa... must go try. (and at antarabangsa usually after late night out with lots of booze, so anything tastes good when in that state). I thought it was only me which thinks Antarabangsa's sambal is strange tasting - in fact my friends and I say it's all chilli boh. My ultimate fav is still RA followed by Tanglin and then Tanjung Puteri. quite a few people prefer the simple paper/banana leaf wrapped types, some r xcellent too ! Now that we have 'confirmed' it I think I know which chiliboh brand AB uses, I am trying to get it from a Thai rest. soon ( that will make us all Xperts in making antarabangsa NL) ! yep, RA is a classic ! hai..hope u don't mind if i comment in malay..hehe..
sya suka sgt mkn nasi lemak..esp yg ade kacang n telur dadar..haha..silap ari bulan, dua pinggan blom tentu cukup lagi..
3. sea park mamak (night only) - the fried chicken here is awesomely awesome. terima kasih dan selamat datang ke BSG. Ya nasi lemak memang ada banyak kaki suka. 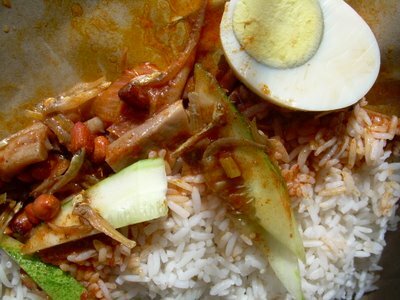 Tapi Kelantan nasi dagang pun best ! will make sure I check out those awesomly awesome ones u have mentioned, tks. I know why, bcoz the bungkus ones got nice sweet lady selling ! Was away for a short while. Came back & got hit by your drooling NL reviews! Nasib baik this morning I bought a good sotong janggut NL from my fav stall at d Masjid Jamek LRT stn! If not, sure will b jabbing d monitor! 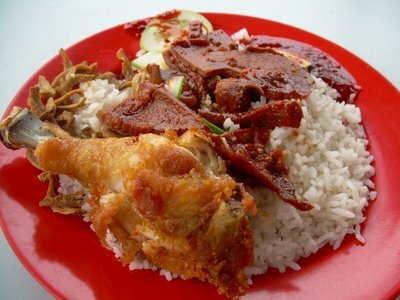 great to have u back again, looks like u r a nasi lemak fan thru n thru !